Matt Coe of Dead Rhetoric recently conducted an interview with frontman Biff Byford of British metal legends SAXON. A few excerpts from the chat follow below. 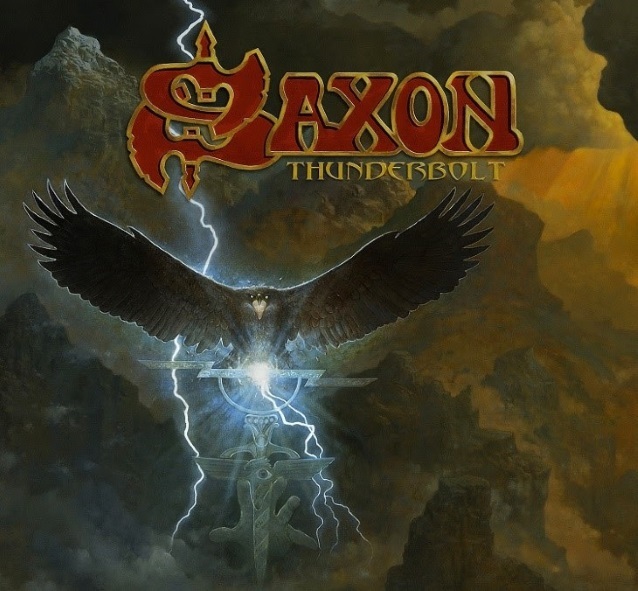 Dead Rhetoric: "Thunderbolt" is SAXON's 22nd studio album. What factors do you believe contribute to the consistent and strong output of the band, especially this deep into the discography? Biff: "I don't know, really. I'm very happy with the way the band is going at the moment. I have a great working relationship with the boys. It allows me to arrange things and write lyrics and I can pick from a great selection of different guitar riffs. That's how we do it — the boys will send me guitar riffs and ideas and I'll put it all together, fiddle around with the arrangements and get some inspiration going." Dead Rhetoric: Do you know as songwriters when things are going to work or when you need to change things up a bit to get the creative juices flowing? Biff: "I work with Nibbs [Carter] quite a lot, the bass player — he's a great guitarist and a drummer, too. So, I work with him a lot in the initial stages of writing. I'm sending him ideas for my vocals and he'll fiddle around with them on Pro Tools. We may have done or week or two weeks' worth of material like that before we take these songs to the other boys in the band to let them have a go at fiddling around with their arrangements." Dead Rhetoric: For instance, what came easiest to the band for the new record, and what needed to be fleshed out or worked on a bit more? Biff: "I think they all have to be worked out a little bit. It's a process of elimination, really. I do all of the arranging, and [producer] Andy [Sneap] and myself will also do some last-minute arranging. At the initial stages, if I have an idea, like for 'The Secret Of Flight', for instance, I think of the chorus melody first and then the chorus gets written around it. But for the verse, you look at the guitar riffs that Nibbs came up with and we work together. It's trial and error, you end up writing a lot of things that end up going nowhere. We treat every song as a separate project and we don't write one big song and everything else is like on the backburner. We treat every song as if it's the most important song on the album, that's how we work." Dead Rhetoric: You'll be touring with JUDAS PRIEST and BLACK STAR RIDERS across North America soon. How does it feel to gain this opportunity to play for arena audiences again like you did in the 1980's here? 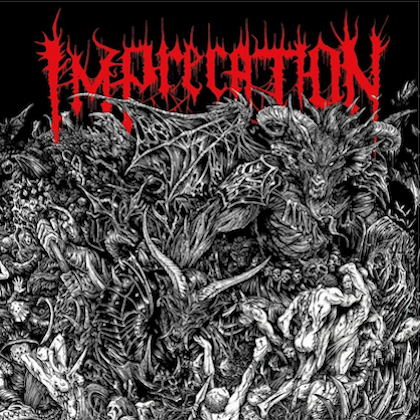 Are you hoping to hit multiple generations of fans even with this being more of an older band package? Biff: "I suppose we were out with JUDAS PRIEST and MOTÖRHEAD in 2015 for a few shows in North America — we've done fairly good gigs with them. But there's nothing like having a fantastic package together for the fans. You have to remember that when it comes to SAXON, the fans are the most important thing to us, especially when we are touring. We just feel that this package — especially JUDAS PRIEST and SAXON — is iconic. The first tour we ever did in Europe was with JUDAS PRIEST in 1980, so we've been friends with them ever since. The three bands are a great bill for the fans to see, the people seem really excited about the new album and about the tour, so we are looking forward to it." Dead Rhetoric: Does retirement or slowing down ever enter the picture for SAXON? Or, do you imagine doing this possible for another decade if possible? Biff: "I don't know think we've slowed down — if anything, I think we've sped up. The SAXON ship doesn't have any brakes; we are just going for it, really. [Laughs] Having a good time…we aren't thinking about retirement yet, no." "Thunderbolt" was released on February 2 via Militia Guard (Silver Lining Music). 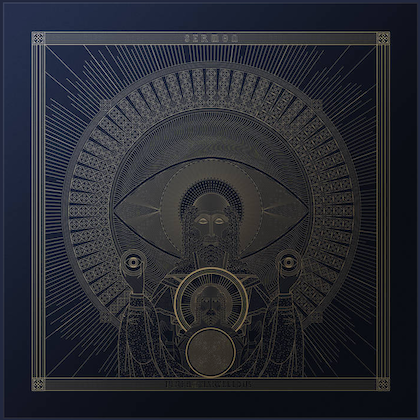 The follow-up to 2015's "Battering Ram" was once again helmed by producer Andy Sneap, who has previously worked with JUDAS PRIEST, MEGADETH, ACCEPT and TESTAMENT, among others. The disc features original artwork by longtime SAXON collaborator Paul Raymond Gregory. 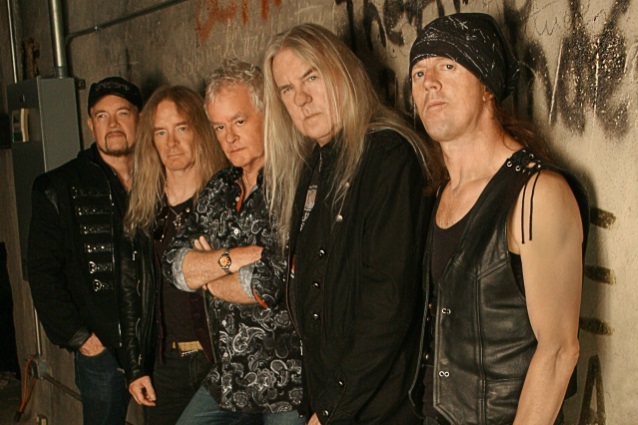 SAXON will be the primary support act for JUDAS PRIEST's "Firepower" tour, which will kick off on March 13 in Wilkes Barre, Pennsylvania and will wrap on May 1 in San Antonio, Texas. Additional support on the trek will come from BLACK STAR RIDERS.